Tribes: Vengeance is an FPS-Z originally released in 2004 but quickly abandoned by its original creators. Community has maintained, patched and groomed it since. Welcome to TribesRevengeance! In here, you will find all possible Tribes: Vengeance downloads, tutorials, guides and walktroughs. First time hearing about T:V? Interested to see what the game is like? Then be sure to check the following video out! Returing to the fields of Vengeance? 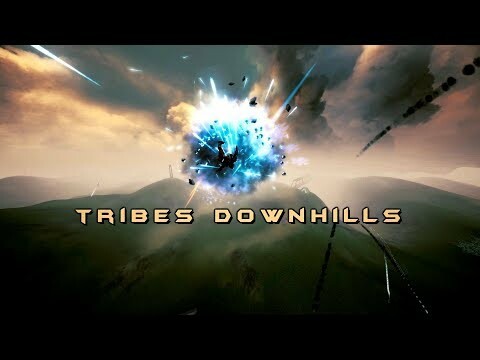 Tribes is still active and as fun as ever! Dust off your jetpack, grab your trusty Spinfusor and come join the fun. Around 2013 GameSpy company that hosted TV’s master server went defuct. Tribes: Vengeance now has a new master server. As of such, it is no longer required to have a valid CD-Key or to add server favorites. This site is fully open source and hosted on GitHub. If you would like to contribute or have a resource that you would like to keep for future generations of Tribes players - feel free to open a pull request. As such, it should be virtually impossible for it’s content to get lost (like it happend to many of it’s predecessors) because when it’s current maintainer goes dark - anyone can pickup the torch again!